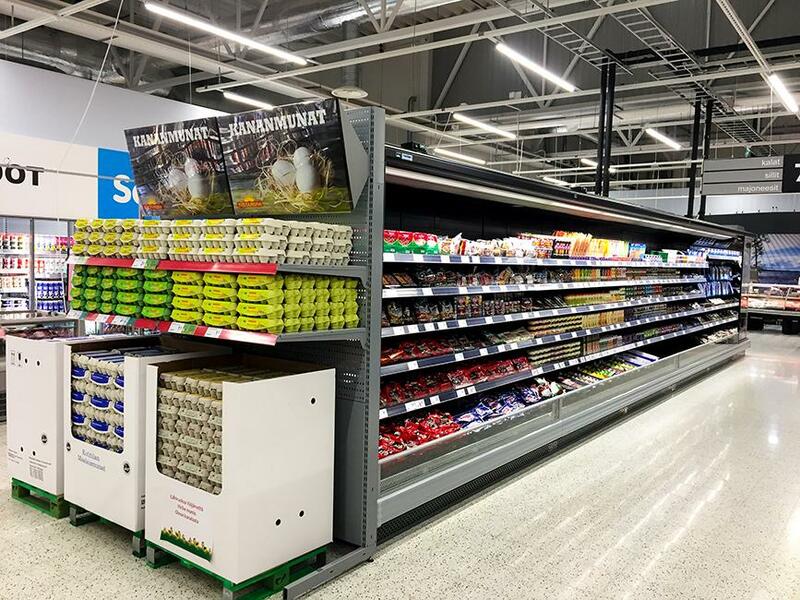 The Ruokakeidas store in Ylöjärvi town, located in the Western Finland, has chosen the natural refrigerant-based solutions designed by FREOR. 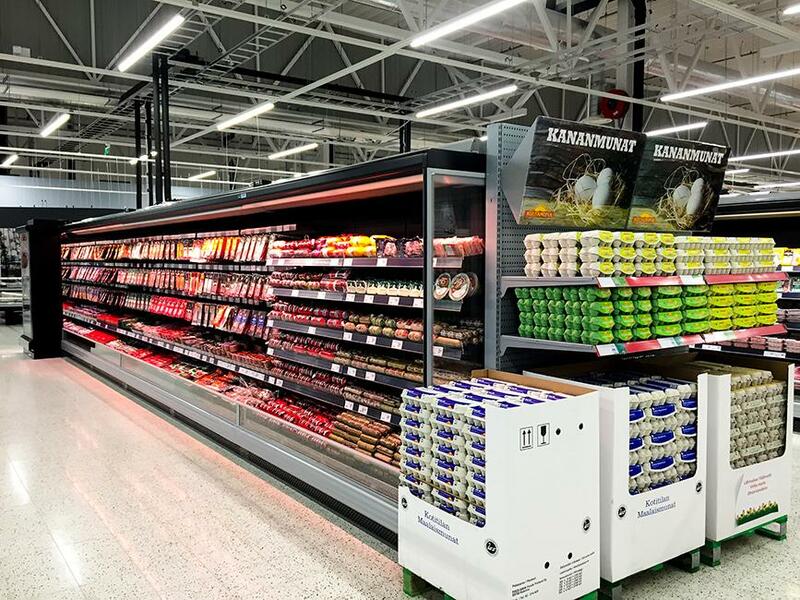 Innovative R290 propane-driven cabinets of Hydroloop Glycol series were installed in an area of 2000 square meters in cooperation with our partners CoolFors Finland Oy. 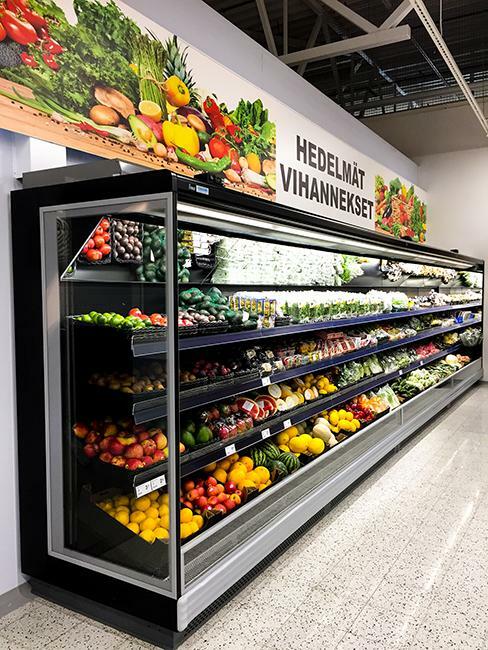 For the green Ruokakeidas project, energy-efficient autonomous refrigeration equipment with R290 refrigerant was installed: multidecks JUPITER of length 3.75 m (13 units), 2.50 m (6 units) and serve over counters VEGA S of length 3.75 m (2 units), 2.50 m (1 unit) with OC corners (2), all operating with R290 in small amounts (lower than 150 grams per circuit). 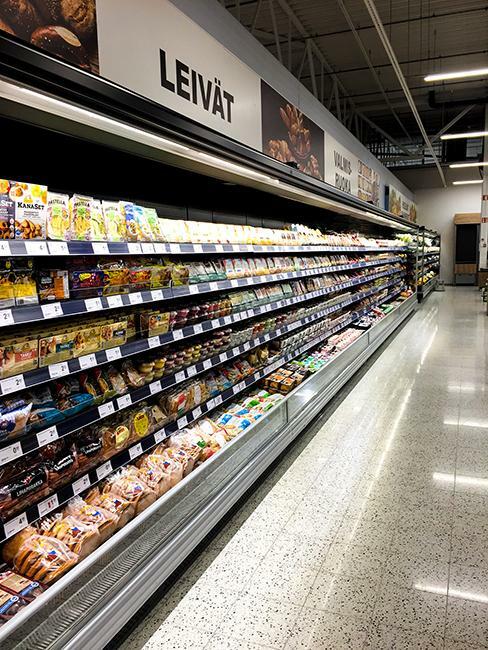 Ruokakeidas store has become the biggest store in Finland operating with environment-friendly propane refrigeration technology. 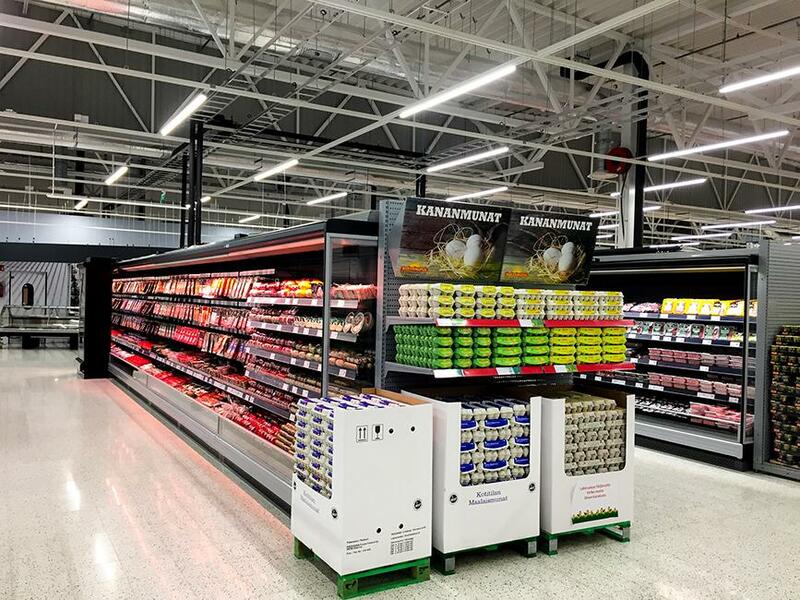 The natural refrigerant-based installation has not only made the store energy efficient, but also has prepared it for the EU F-Gas regulations. 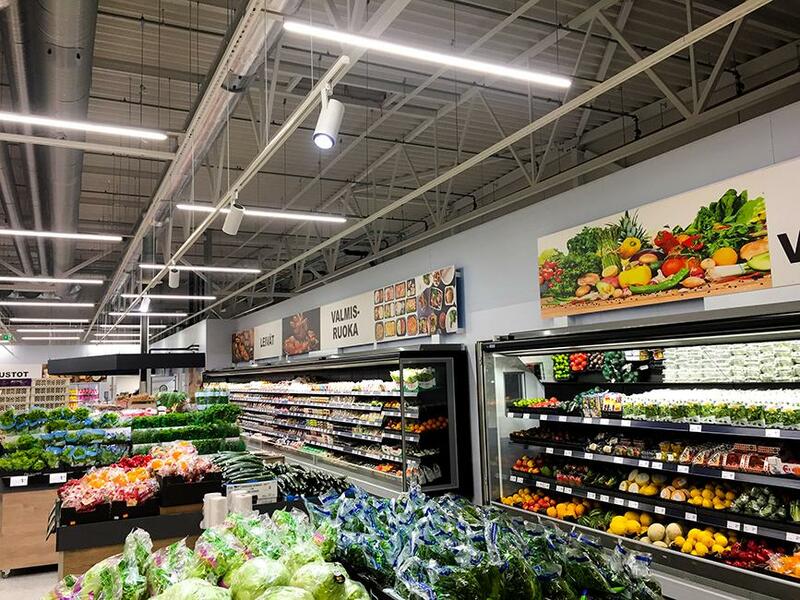 R290 has absolutely zero ozone depletion effect, very low global warming potential (<3) and excellent thermodynamic properties leading to high energy efficiency. Refrigeration multidecks JUPITER_R290 were chosen in an open version for the increased sales turnover. 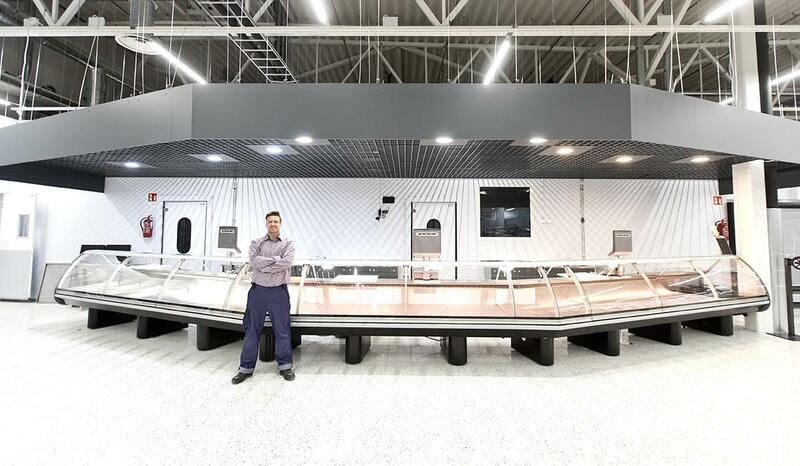 The cabinets, multiplexed and formed into islands, provide an excellent presentation for any product put on display. 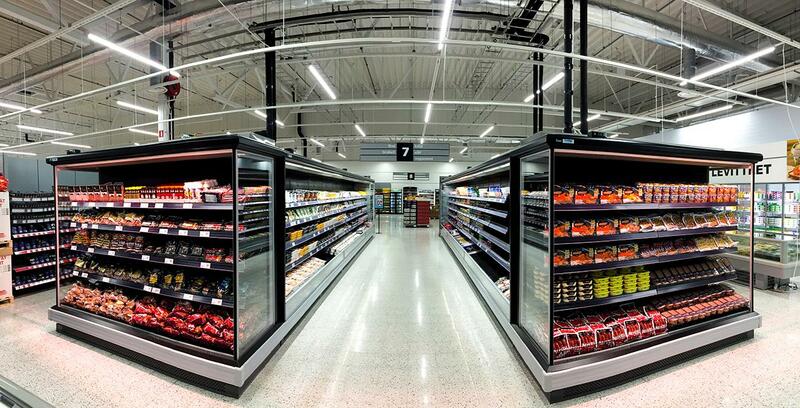 Dual air curtains and automatic night blinds help reduce energy consumption. 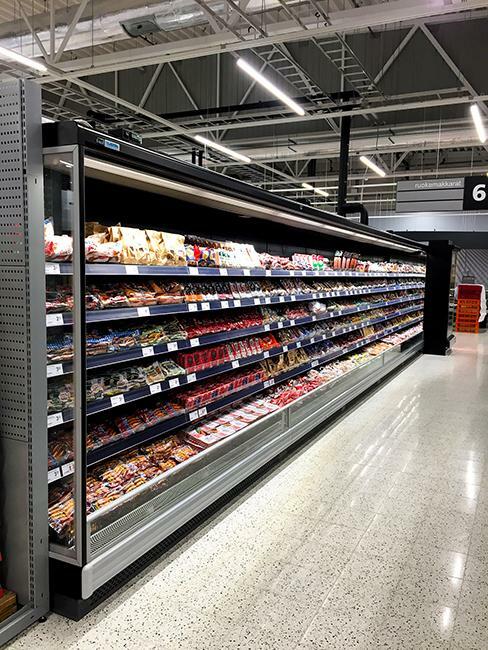 Installed front glass panel at the lowest shelf stabilizes the air curtain and ensures a more constant temperature which results in additional up to 10% energy saving. 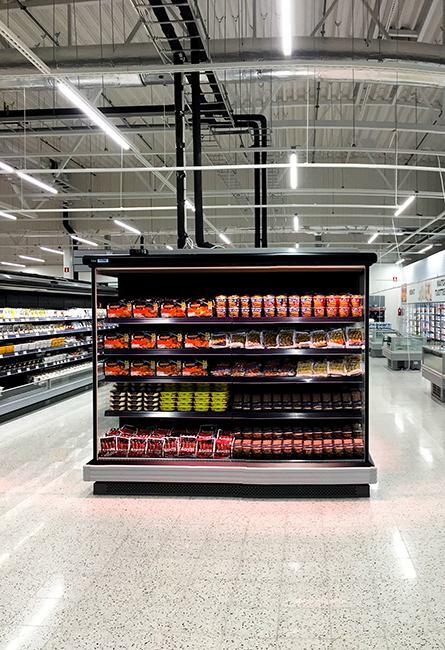 The powder coated, zinc plated metal (1.4 mm thickness) construction makes these products exceptionally durable. 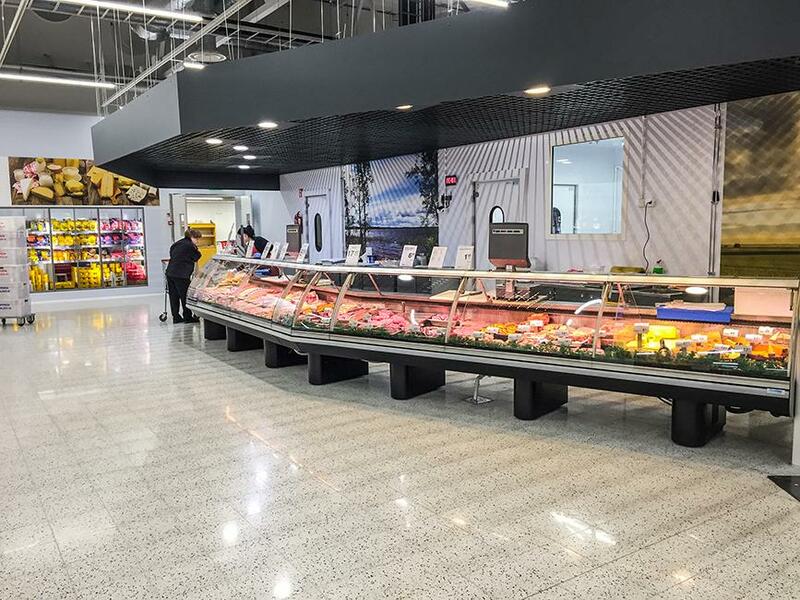 The curved design serve overs VEGA S_R290, connected to a 12 meter meat and fish counter line, not only provide a pleasant visual effect for the food displayed, but also are easy to clean thanks to tempered liftable front glass. 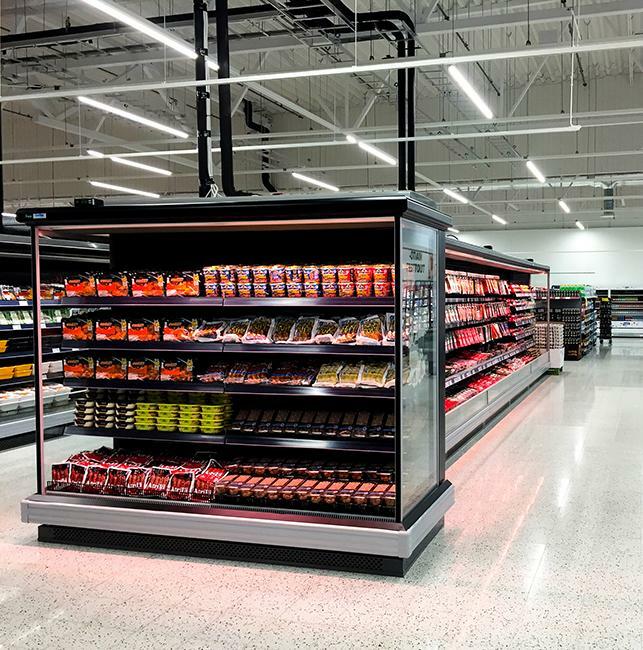 Selective glass protects against fogging, stainless steel interior provides resistance to staining, rusting, also reduce bacterial attachment and is easy to keep clean. 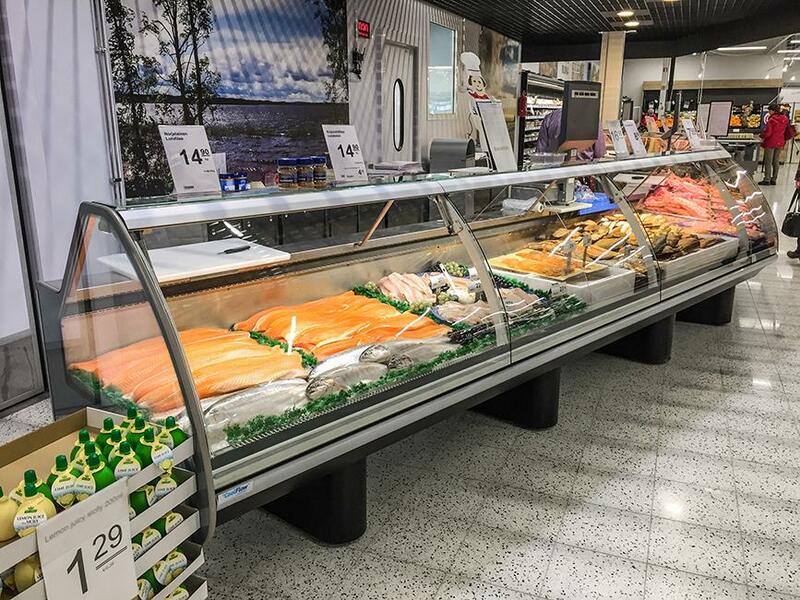 Featuring wide range of accessories, the counter is a great choice for the display of meat and fresh fish, cheese, salads, delicacies and pre-cooked food. 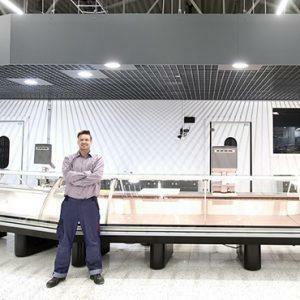 At FREOR we are glad that more of our production users are becoming oriented towards the choice of green solutions and are proud to have contributed to this project.